SHEBOYGAN (WITI) -- "Aliens made me do it" is the motive investigators say a Sheboygan man offered after allegedly vandalizing and then trying to burn down a home multiple times. 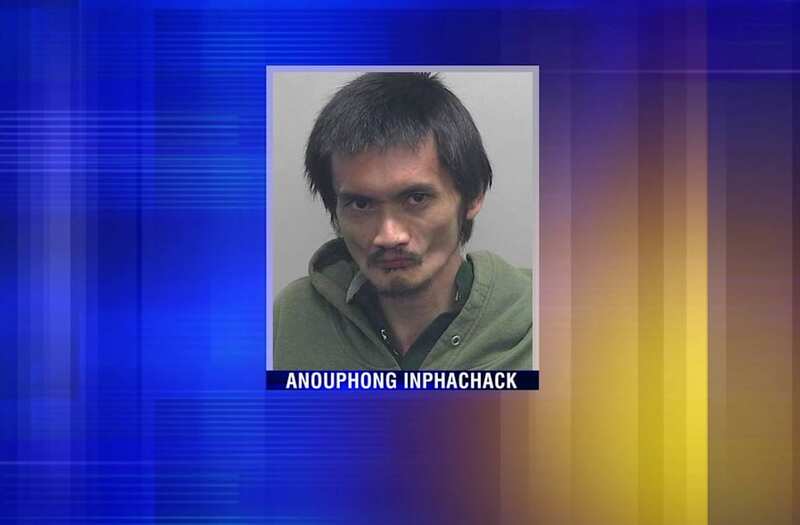 Anouphong Inphachack told police he was struck by an alien virus, according to a criminal complaint. The homeowners said they have no idea who Inphachack is, and told FOX6 News after nearly a month of being targeted, they're glad he's been caught. It's happened near 10th and Kentucky Avenue in Sheboygan. From graffiti to a broken window and a charred back porch, the family renovating the home said for a month, someone has been damaging their property. "It's concerning. It's frightening," the homeowner, who did not want to be identified said. Sheboygan County District Attorney Joel Urmanski said it started when someone spray painted the letters DNA on the house, and then things escalated. Last week, the vandal tried burning the house down -- lighting the porch on fire for the second time. A Wisconsin man accused of repeatedly vandalizing and trying to burn down a home allegedly told investigators he was struck by an alien virus. Police said 31-year-old Inphachack was first spotted by a neighbor, holding a gas can, and on Thursday, October 5th, he was arrested by an officer on patrol. Investigators say his alleged motivation is bizarre. "Some of what he said was about aliens. An alien virus," Urmanski said. According to the complaint, Inphachack thought he was infected with an alien virus, and aliens had "modified his DNA." Inphachack told authorities a man who once lived in the home "has been trying to kill him for a while now" and aliens "made him do this." The complaint says Inphachack admitted he suffers from schizophrenia, and his parents later told police their son stopped taking his medication. "Instead of going at it negatively right away, take a look at it curiously. Oh my gosh, what did that family go through? What did that individual go through? Nobody wants to be in that position," Kate Baer with Mental Health America Sheboygan County said. Baer said there are resources for those dealing with mental health issues, and she encouraged anyone who needs help to call. "You are not alone. No family is alone in this. We are a community about building resilience and hope," Baer said.